Objectives: The SYNTAX score is a grading system that evaluates the complexity and prognosis of patients undergoing percutaneous coronary intervention (PCI). We investigated the association between the incidence of major adverse cardiac events (MACE) following PCI and the SYNTAX score in patients with three-vessel disease. Methods: We consecutively enrolled 381 patients with three-vessel disease undergoing PCI and stenting. The SYNTAX score was divided into tertiles as low (≤16), intermediate (16-22) and high (>22). 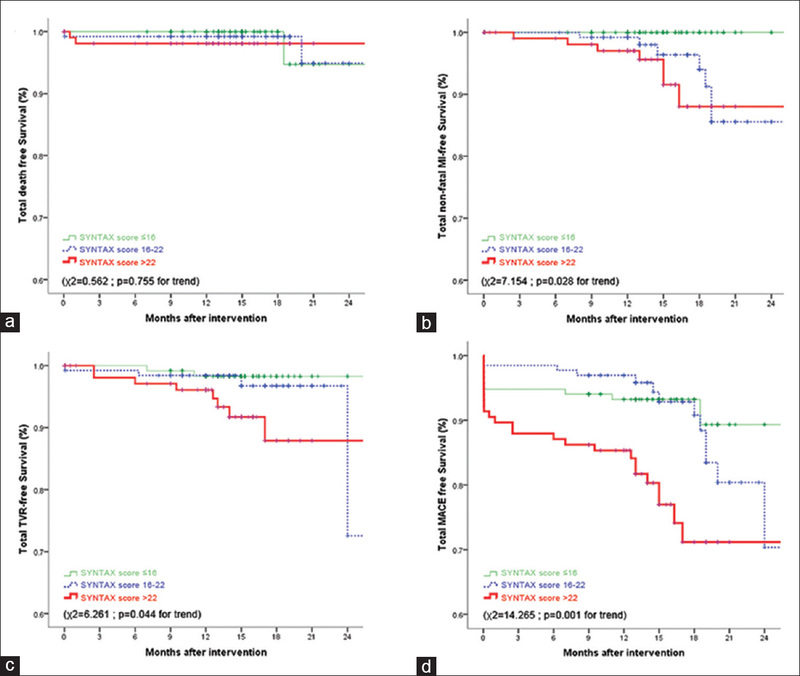 The endpoint was the incidence of MACE defined as cardiac death, in-hospital mortality, nonfatal myocardial infarction (MI), or target vessel revascularization. Then, the incidence of MACE was compared among the SYNTAX score tertile groups. Results: The median follow-up was 14 months, and the rate of MACE was 12.6%. The rates of MACE were 7.5%, 9.9%, and 21.6% in patients with low, intermediate, and high SYNTAX score tertiles, respectively. Higher SYNTAX scores significantly predicted a higher risk of MACE (hazard ratio = 2.36; P = 0.02) even after adjustment for potential confounders. The main predictors of MACE were SYNTAX score, advanced age, hyperlipidemia, presentation as recent ST-elevation MI, number of total lesions, and history of renal failure. Conclusion: The SYNTAX score could predict major cardiac outcomes following PCI in patients with three-vessel disease. Background: Acute pulmonary embolism (PE) is a life-threatening and a relatively common cardiovascular pathology. Although the pathogenesis of PE is well defined, there is no ideal diagnostic biochemical marker. Previous studies showed an increased ischemia modified albumin (IMA) levels in acute PE; however, the relationship between IMA and right ventricular (RV) dysfunction has not been examined. The aim of this study was to evaluate the diagnostic value of IMA and the relationship with RV dysfunction in acute PE. Materials and Methods : A total of 145 patients (70 females) with suspected acute PE was enrolled to the study. 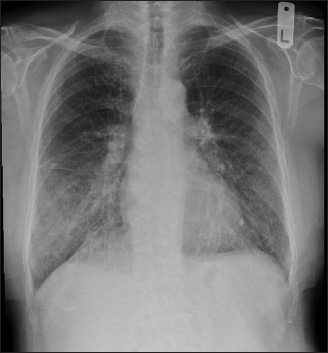 Eighty-nine patients were diagnosed with acute PE via computed tomographic pulmonary angiography. Sixty-five patients with similar demographic and clinical characteristics were assigned to the control group. 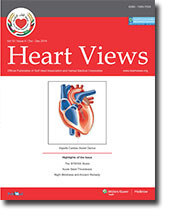 All patients were evaluated for RV dysfunction using transthoracic echocardiography. 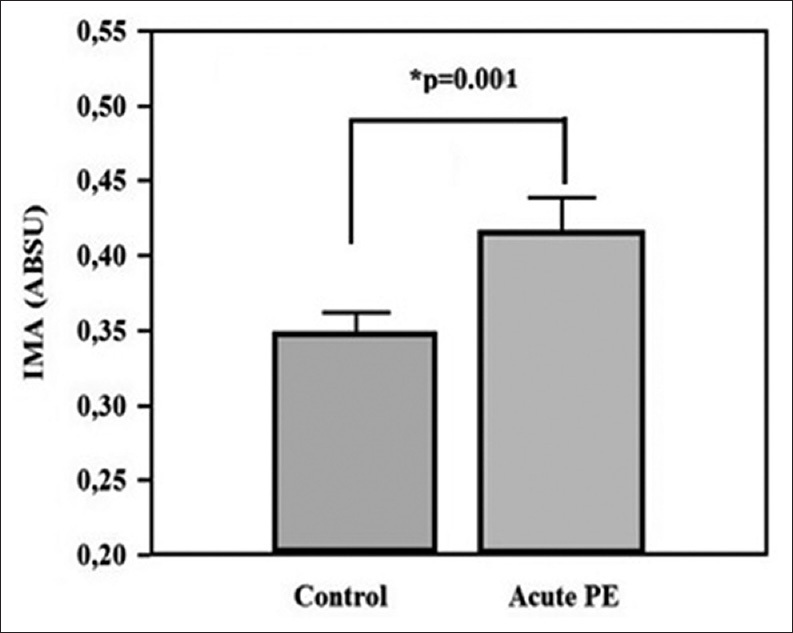 Results: Serum IMA levels were significantly increased in acute PE compared with control group (0.41 ± 0.06 vs. 0.34 ± 0.11, P = 0.001). There was no relationship between serum IMA levels and RV dysfunction. IMA levels were positively correlated with shock index and heart rate. Receiver operating curve analysis demonstrated that serum IMA levels higher than 0.4 put the diagnosis at sensitivity of 53.85% and at specificity of 85.96%. Conclusions: Although IMA levels are increased in patients with acute PE, it failed to predict RV dysfunction. Diabetes Mellitus (DM) with poor glycemic control is one of the leading causes for cardiovascular mortality in diabetic patients. Tight glycemic control with glycosylated haemoglobin of <7 gms% is recommended as a routine and < 6.5 gms% is recommended for young and newly diagnosed diabetics. Treatment goal aims at achieving near normal blood glucose level, and directed at management of other co morbid conditions such as obesity, hypertension and dyslipidemia. Oral hypoglycemic agents are the preferred drugs, alone or in combination. Preference for glitazones is declining due to the increasing evidences of associated adverse events. Gliptins appear as promising agents with lesser tendency to cause hypoglycemia, but their long term safety and efficacy is yet to be established. We emphasize the role of preventive measures in prediabetics and in established DM, treatment should be individualized and customized to minimize hypoglycemic effects and to retain quality of life. 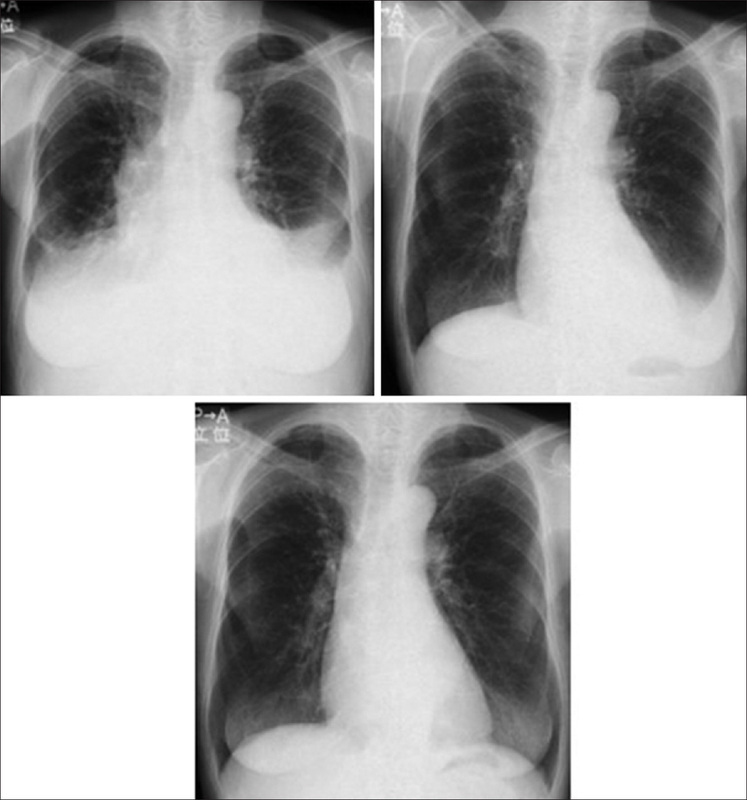 Pulmonary hemorrhage is a rare complication of fibrinolytic therapy. Only a few cases are reported in the literature. We present a patient who had myocardial infarction, treated with fibrinolytic therapy and developed pulmonary hemorrhage. We discuss the features that suggest and support the diagnosis. Paradoxical coronary artery embolism is a rare, but often an underdiagnosed cause of acute myocardial infarction. It should be considered in patient who presents with chest pain and otherwise having a low risk profile for atherosclerosis coronary artery disease. 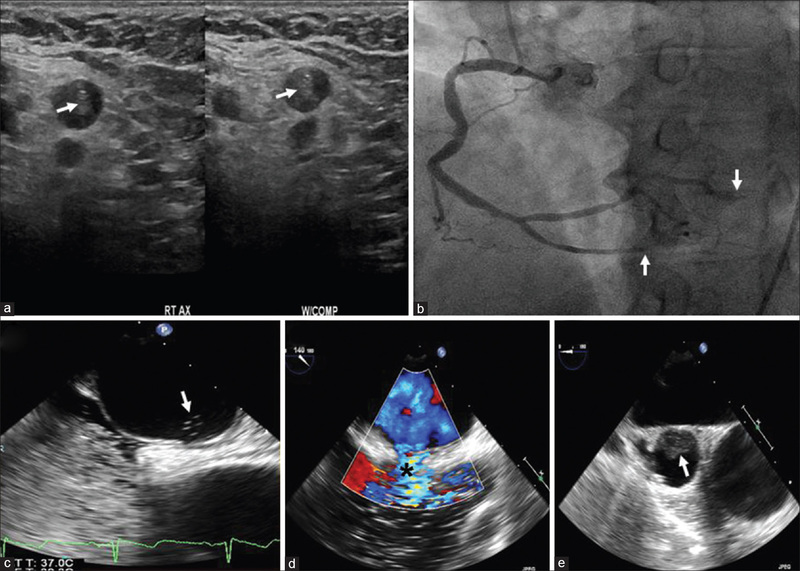 We describe a case of paradoxical coronary artery embolism causing ST segment elevation myocardial infarction in a patient with upper extremity venous thrombosis. 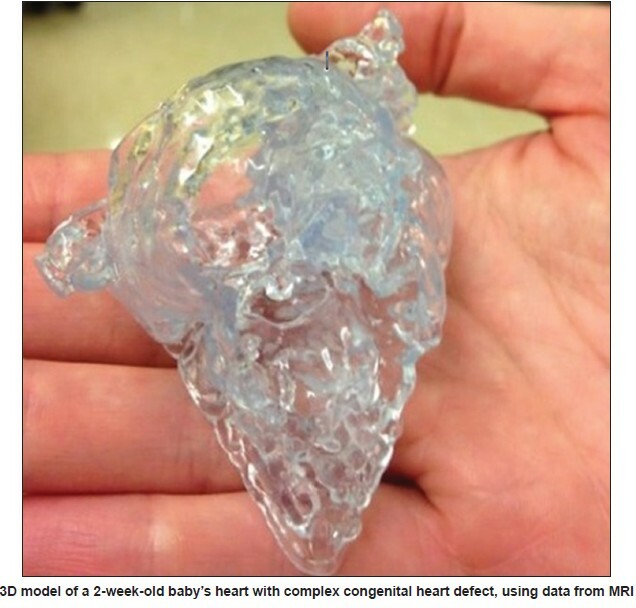 Echocardiography demonstrated a patent foramen ovale (PFO) with bidirectional shunt. In addition to treatment of acute coronary event closure of the PFO should be considered to prevent a recurrence. The Impella is a left ventricular assist device which is implanted via the transcutaneous femoral route and is placed across the aortic valve into the left ventricle. 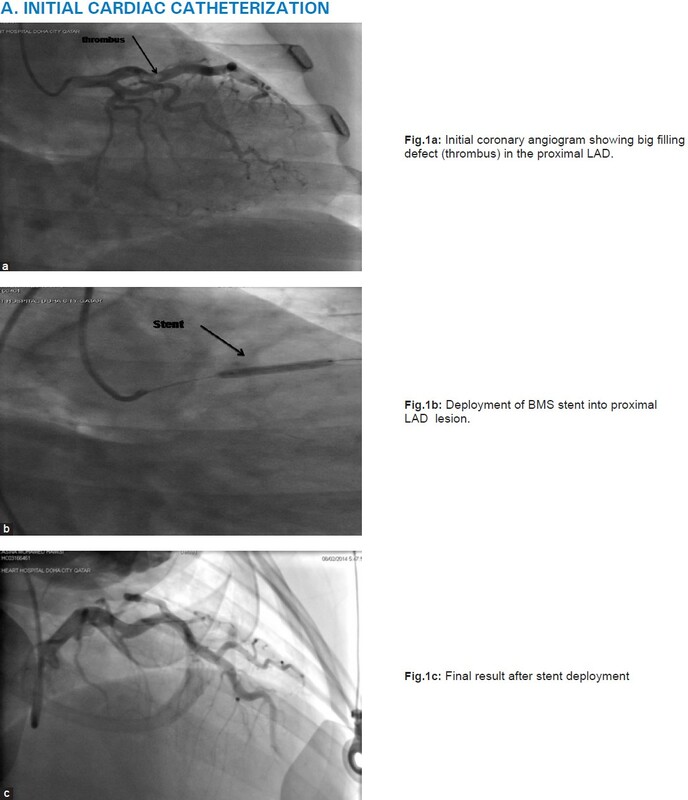 We report an interesting case where cardiopulmonary resuscitation was associated with displacement of Impella device. Impella is being increasingly used these days especially in patients with cardiogenic shock. Clinicians should have high index of suspicion for displacement of Impella in appropriate clinical setting. We report the case of a 75-year-old female patient with a history of Hashimoto's thyroiditis who presented with congestive heart failure caused by atrial fibrillation associated with isolated adrenocorticotropic hormone (ACTH) deficiency. This is the first case of the combination of these complex conditions. Clinical conditions in a patient with isolated ACTH deficiency and Hashimoto's thyroiditis can be variable. Thus, it is sometimes difficult to establish a diagnosis. The mechanism underlying heart failure may be complex in some cases. Various conditions can affect patients simultaneously. Therefore, making a proper diagnosis is necessary to improve the patient's prognosis. The aim of this article is to briefly review the history of night blindness and its treatment from ancient times until the present. The old Egyptians, the Babylonians, the Greeks and the Arabs used animal liver for treatment and successfully cured the disease. The author had the opportunity to observe the application of the old remedy to a patient. Now we know what the ancients did not know, that night blindness is caused by Vitamin A deficiency and the animal liver is the store house for Vitamin A.